1. Apply sunscreen. This applies to your body and to your face as these easily get exposed to the sun. Most body lotion and facial creams are now incorporated with sun protection factors (SPF). All sorts of lip creams also have SPF. Check the label and use what suits you. Nowadays, you can lather on your favorite scented-lotion and still get the needed sunblock. Make sure your beauty regimen prevents you from getting sun-burnt while giving you young-looking skin! 2. Put sunglasses on. Eyes are sensitive to the sun’s rays. Squinting your eyes when there’s sun is not enough for protection. Always make sure you wear sunglasses. 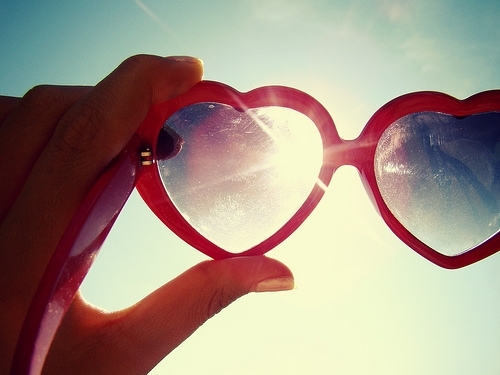 Some eyeglasses can be ordered with polarized lenses, reducing the amount of UV rays that pass through. Have fun choosing the eyeglasses that highlights your facial features. By wearing glasses, you will keep your eyes healthy and fabulous at the same time! 3. Avoid going out during the hottest time of the day. The sun’s rays are at the peak during mid-day. Do not go out in the open if it’s possible. Schedule your walks and trips when the sun is not too high anymore. This will save you unnecessary sun exposure and excessive sweating. Maximize errands during your most comfortable time. 4. Always bring an umbrella, hat or scarf. Accessorizing is a creative way to deflect UV rays. Bring umbrella wherever you go. This will protect you both from the sun and from the rain too. Hats and scarfs are also accessories which can prove useful in keeping you sun-protected. Collect scarfs and hats with different prints so you can mix and match these with your clothes. Include these in your outfit for the day. After all, being fashionable while keeping healthy is the new trend! Like any other, too much of sun’s exposure is bad for the health. Only a 30-minute sun exposure for Vitamin D is recommended during early morning. Beyond that, it is equally important to include the sun-protection tips in your daily routine. Be conscious of ways to shield your body from the harmful rays of the sun for a healthier you! This entry was posted on Tuesday, March 15th, 2016 at 7:14 am by Editor	and is filed under Finest Beauty. You can follow any responses to this entry through the RSS 2.0 feed. You can skip to the end and leave a response. Pinging is currently not allowed.